One of the more commonly asked customer service questions we hear is, "How do I take care of my bouquet", followed closely by, "And how long will it last?" Whether it's a single bud, a small bunch or an abundant arrangement, a little extra care can make a big difference. How long a floral arrangement lasts is hugely dependent upon when the flowers were harvested. 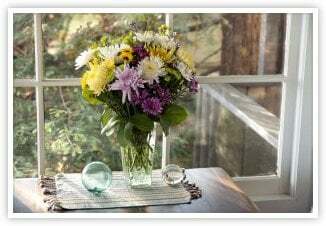 Generally, floral arrangements bought at the florist last between 4-7 days, depending on the types of flowers used and the type of care they receive. Your shipment is cut just one day prior to being assembled and sent Next Day Express to you so your flowers are only two days old when you receive them! They are also harvested long before they bloom so that they'll travel better to you and open after you receive them (generally 2-3 days). Here are a couple of tips we'd suggest you follow to extend the life of your shipment. Immediately re-cut the stems of each item in the bouquet before arranging it in your vase! And use a clean vase to avoid bacteria growth. 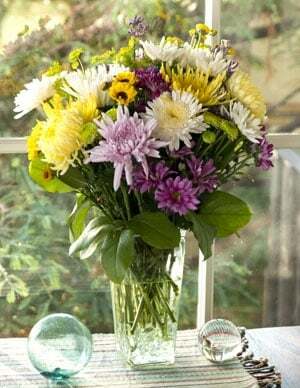 Keep the vase filled with warm water containing the provided flower food included in your shipment. We provide (2) 10 gram food packs in each shipment. You should use one each time you change the water for your arrangement. If the flower food solution becomes cloudy, replace it entirely. If possible, re-cut stems every 3 days by removing one to two inches with a sharp knife each time you change the water in your vase. Do this underwater -- this allows the stems to draw in water instead of air. Remove any leaves that will be below the waterline. Leaves in water will promote bacterial growth. Q: What is wrong with the water when it turns yellow or cloudy? A: That is a dead give away that bacteria is growing in the water. Not a good thing! Bacteria can clog stems and shorten the vase life of the flowers, so keep the water clear at all times to ensure longevity of your blooms. If your water starts to turn cloudy, immediately empty the vase and add fresh warm water, preferably mixed with floral food provided we provide you with your shipment and if possible, re-cut the stems before you replace them in the vase. Q: Since flowers like sunshine, should I put my arrangement in the sun when I get it? A: Believe it or not, that's not a good idea! 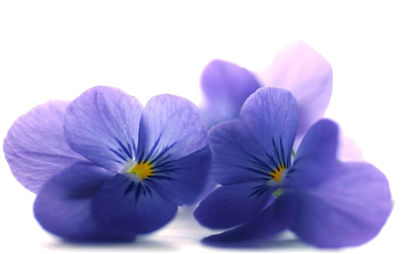 Growing flowers like sunshine because they require it for maturation, but flowers that have already been cut will fade much faster if exposed to heat and direct sunlight. To keep flowers fresh, keep them away from sun and drafts. Q: Can I revive a wilted rose? A: Actually, sometimes you can! If a rose wilts prematurely, try removing it from the arrangement and following these steps: First, fill a sink with warm water. Lay the rose horizontally in the water bath & cut the stem (about one inch) under the warm water. Leave rose in the bath for around two hours & let the water cool. This can work wonders in many instances but if the rose is already past its vase life it will not revive.